If you know me, then you know that my two favorite holidays are Hallowe’en, or Samhain if you like (I do) and Christmastime (or Solstice, if you like, and I do). 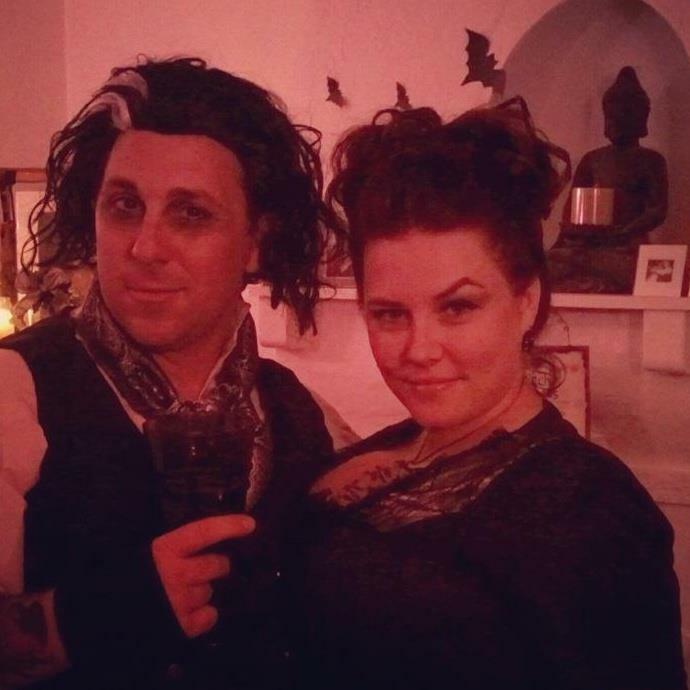 Autumn starts this month, I celebrate six wonderful years of marriage with my hubs, and soon the temperatures will start to drop and everything pumpkin and spice will appear. In fact, I am so excited for the change in the season, I want to start giving out presents early! Many of you know I am releasing a new novel in December, December 2nd to be exact. I’m pretty excited about this book. It’s a little different than anything I’ve ever written and I can’t wait for you guys to read it. 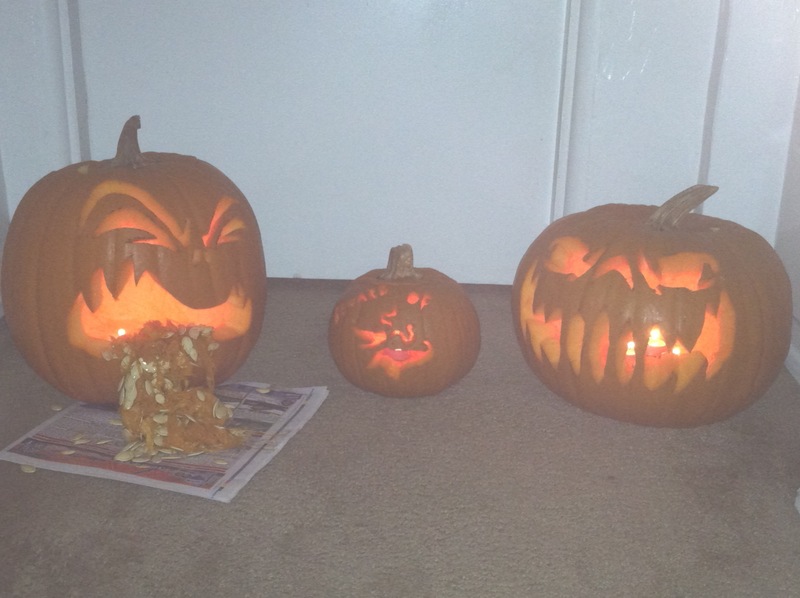 So here’s the contest: Pumpkin carving. Yes, that’s right. 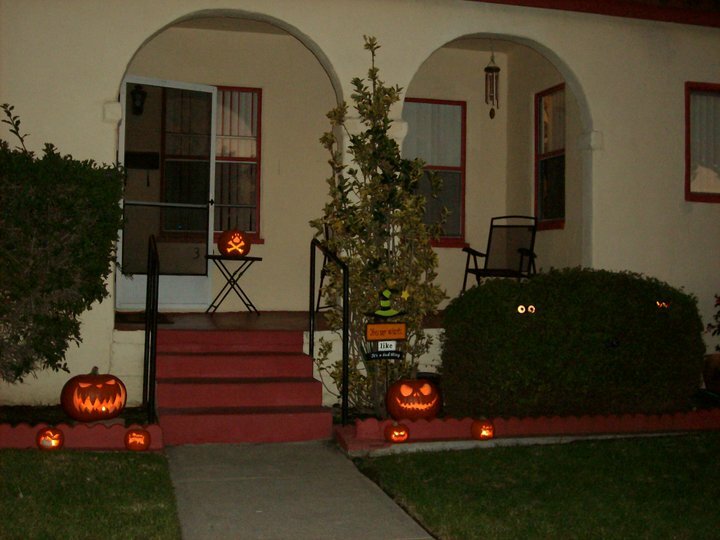 One of my favorite traditions of Samhain is carving pumpkins and letting the candles burn long into the night, chasing away the evil spirits that would cross the veil into our home. Halloween 2010 (yes, that’s a pumpkin for my puppy!) – The Halloween of Jack Skellington (the two big pumpkins are two of Jack’s faces). I take pumpkin carving very seriously so I will be a harsh judge. I’ll be taking a variety of factors into consideration, some of which will be creativity, scariness, humor, skill level, and originality. 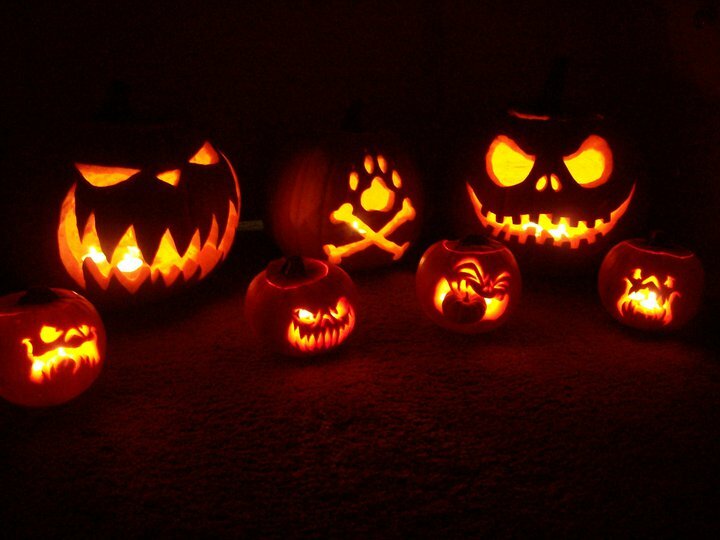 You can carve real pumpkins or fake, or even gourds. Carve one or ten. It doesn’t matter to me. I will choose five, yes FIVE, winners. Each winner will receive an ebook copy of my new novel the first week of November. Did you get that? You will get my new book a whole month before it is released!! The contest will run from 10/26-10/31. All you have to do is post the pic on my Facebook Page starting 10/26, any pics posted before 10/26 or after 10/31 will not be considered. You can also post your pictures on Instagram and tag me, @dyingechoes, or you can tweet your picture at me at @dyingechoes! I will announce the winners here and on my FB page on 11/4 – I will request emails of the winners and their preferred ebook file and send out the books as soon as I get replies. Here’s the catch: if you enter the contest you agree that, should you win, you will read and review the book on Amazon and Barnes and Noble no later than 12/7/12. That will give you 5 full weeks to read the book and write your review. Once the book is live on both sites, I will re-email the winners with links to make your job easier. There are no rules about the length of the review – just write what you want (yes, long reviews are great, but I want you to be yourselves) and if it turns out you just HATE the book and your review turns negative, that’s okay. I have a stash of chocolate and wine, I’ll get through it. Obviously I hope you love the book as much as you all loved The Elemental Series, but I do want your reviews to be honest more than anything. So, any questions? Put ’em in the comments here and I’ll answer them. Bloggers! I am scheduled with YA Bound for a blog tour running the first two weeks of December. So you can get your free copy through them and participate in the blog tour (I love all my bloggers, but I want to give readers a chance at a free book that they wouldn’t normally get). AND I WANT ALL OF YOU TO SIGN UP FOR THE TOUR, PRETTY PLEASE! 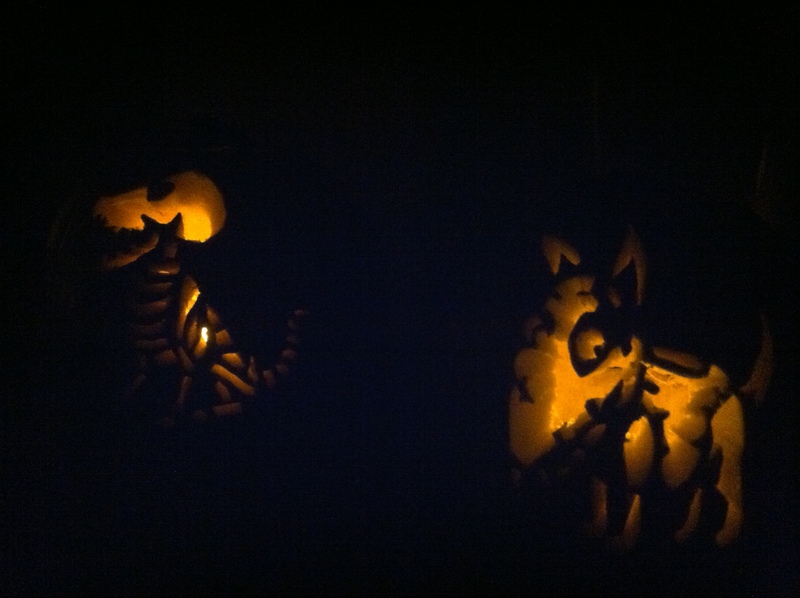 Two of our pumpkins from 2012 – Our first year with TWO puppies so we carved Frankenweenie and Scraps!